Eligibility Criteria, Overall Requirements, Terms & Conditions and Selection Process already advertised vide Advt No.120 will remain the same. As the above items belong to the subjects/disciplines listed under Part-I in Advt No. 120, all the requirements mentioned for Part-I in Advt No.120 will remain applicable for these additional vacancies. For details, please refer to Advt No. 120 on RAC website http://rac.gov.in . The candidates who have already registered and applied successfully need not register/apply again. 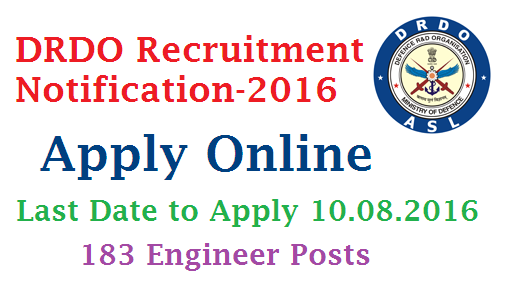 Online Registration and submission of applications for fresh candidates will remain open on RAC website http://rac.gov.in from 20 Jul 2016 (1700 hrs IST) to 10 Aug 2016 (1700 hrs IST), only in the subjects of Electronics & Communication Engg, Mechanical Engg, Computer Science & Engg, Physics and Aeronautical Engg i.e. the Subjects/Disciplines in which number of vacancies have been increased. Candidates appearing in the Final examinations of Qualifying Degree including those who have already registered, are required to upload their final result of qualifying degree i.e. degree/provisional certificates and consolidated marks lists on or before 10 Aug 2016. July / August 2016 onwards - for vacancies in Item No. 4 (Mathematics*), Item No. 5 (Electrical Engg), Item No. 8 (Chemical Engg), Item No. 9 (Chemistry*), Item No. 10 (Textile Engg*), Item No. 11 (Civil Engg*) and Item No. 12 (Material Science & Engg/Metallurgical Engg*) except for the vacancies for PWD candidates in the (*) marked disciplines.